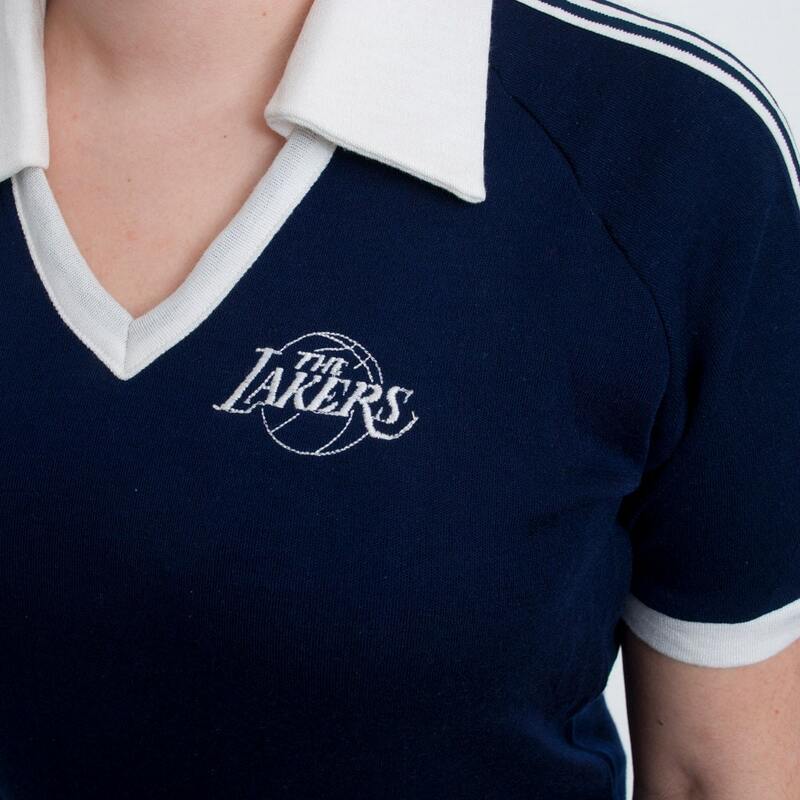 Navy Blue polo shirt 3 white stripes and white collar, with the lakers logo. 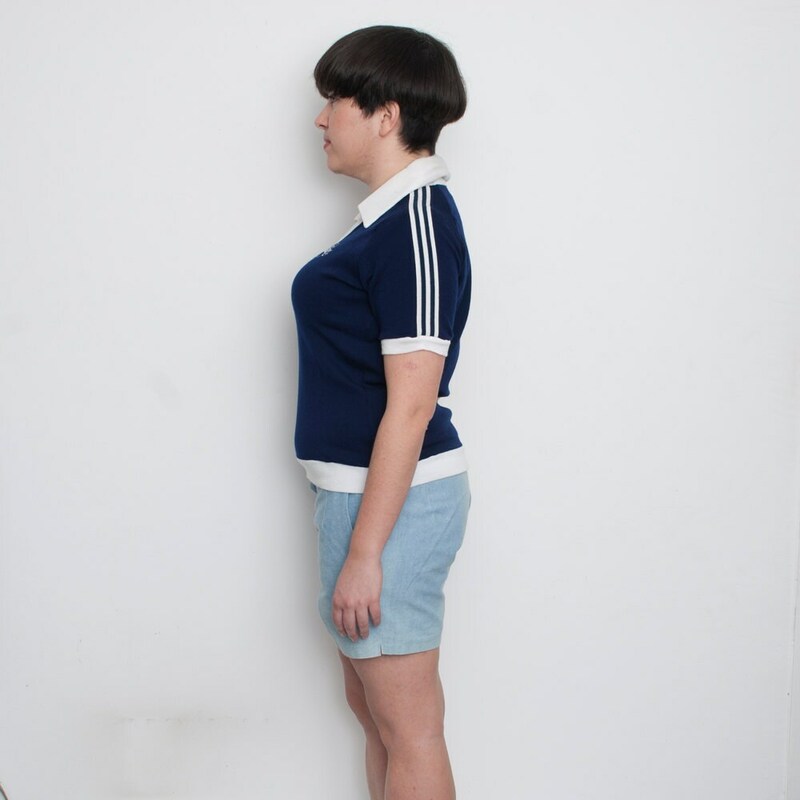 Fits as either a medium or a large, depending on how you would like the garment to fit. 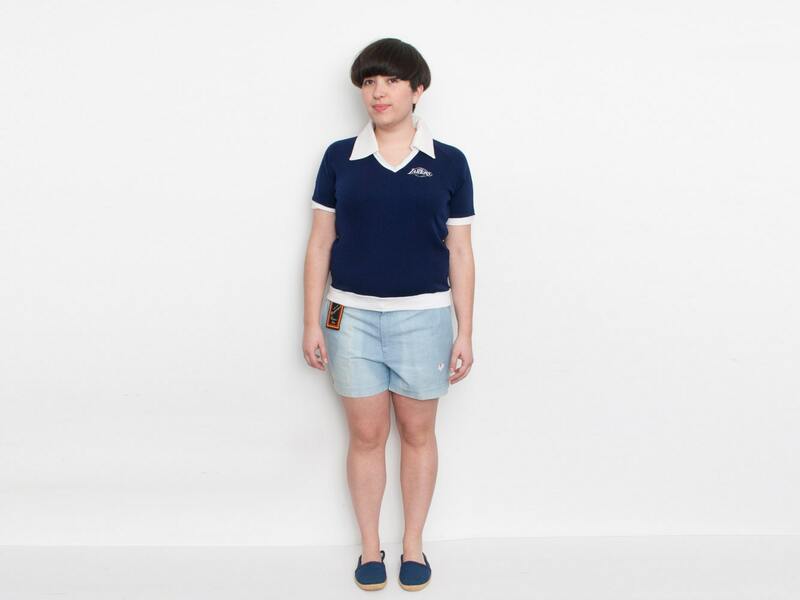 The polo has a lot of stretch to and thou it has no composition tag it feels like a comfortable poly blend. perfect for midle temperatures, the fabric is a bit thick.